The largest town besides Tanjung Pinang is Tanjung Uban on the north west coast. 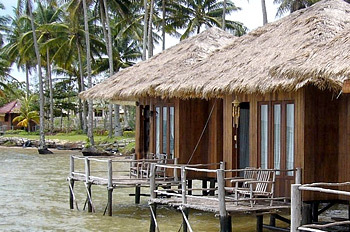 From here, it is a short distance if we reach it by boat to nearby Batam the ticket is cheap. Tanjung Uban has oil storage and is a district center. Along the sea there is a charming boardwalk called “pelantar” with houses, accommodation and restaurants built over the sea, behind this is the main street with shops.